High Peaks Pure Earth presents the English translation of a poem by writer and poet Tashi Rabten, aka Theurang, that he wrote to Rungye Adak who was released from prison today, July 31, 2015 after serving an eight year sentence. Rungye Adak, nomad and father of 11, was arrested following a speech he gave in front of a large crowd at the Lithang horse festival on August 1, 2007. In his speech, Rungye Adak called for the return of the Dalai Lama to Tibet and the release of the Panchen Lama. In November 2007, Rungye Adak was sentenced to eight years in prison for “inciting to split the country” and “subverting state power”. Rungye Adak was imprisoned in Sichuan Province’s Mianyang Prison and it was there that Theurang got to know him. Theurang served a four year sentence in Mianyang Prison and was released on March 29, 2014. On the day of Rungye Adak’s release, Theurang wrote this poem for him and it has been circulating on social media, including WeChat. 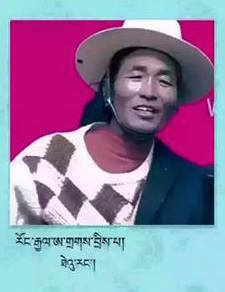 The poem and the English translation has been kindly provided by exile Tibetan poet Bhuchung D. Sonam. Whose milk is white as snow. That have never fallen to the ground. Rungye Adak is an elderly man. I first came to know him in my dark prison cell. He is, in my mind, a living example for Tibetans. This old man, whose chest swells with pride like an ocean, is my flag. 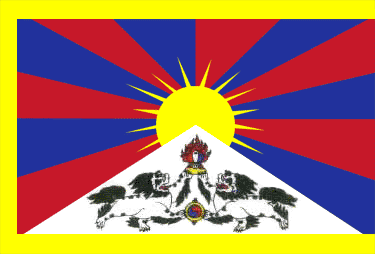 Being with him gives you warmth, pride – pride in myself for being a Tibetan. This old man never bows down before the enemy or shows his anger. And of course, his spirit is tireless. He has affection, compassion and he is open-minded and never breaks his promises. This old man is not just Rungye Adak, or just someone from Lithang, he is the entire Tibetan people, a race that is endowed with courage and audacity. Thank you for this wonderful writing. Enjoyed very much and it gives great pride. Range Adak will be remembered along with our Tibetan heroes in history.